The small and compact EDC trauma kit can handle major trauma. The SWAT-T makes a great tourniquet. 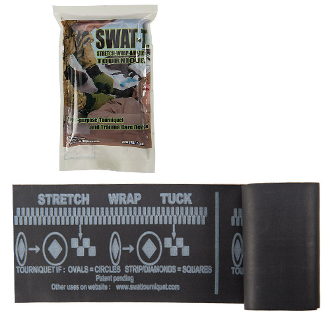 You can use the Combat Gauze and flat EDC to would pack. The Vaseline Dressing is used for making a chest seal. 1- Vaseline Dressing 3" x 9"